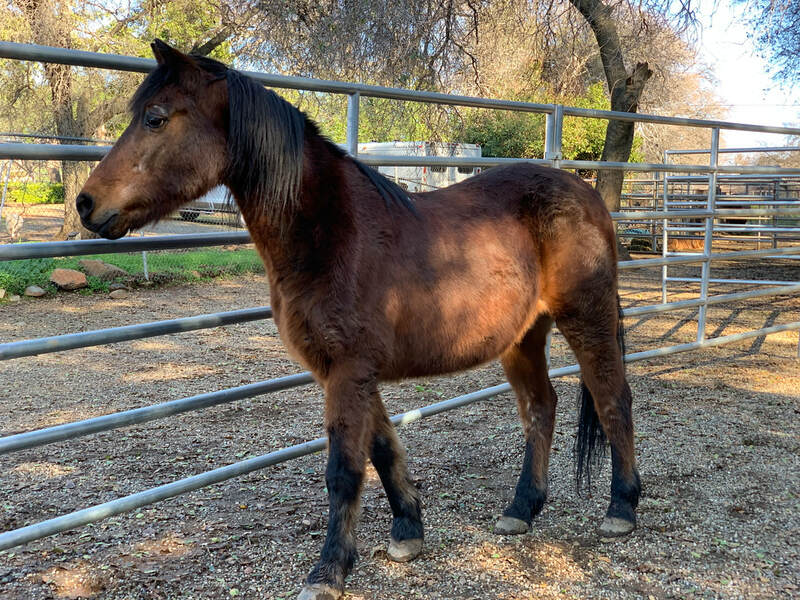 Rustic is one of a bonded trio (Always, Rustic, and Scotty) that came in to AAE in January 2019. His owners were downsizing and relocating out of state due to family health issues. AAE is looking to rehome this group together. 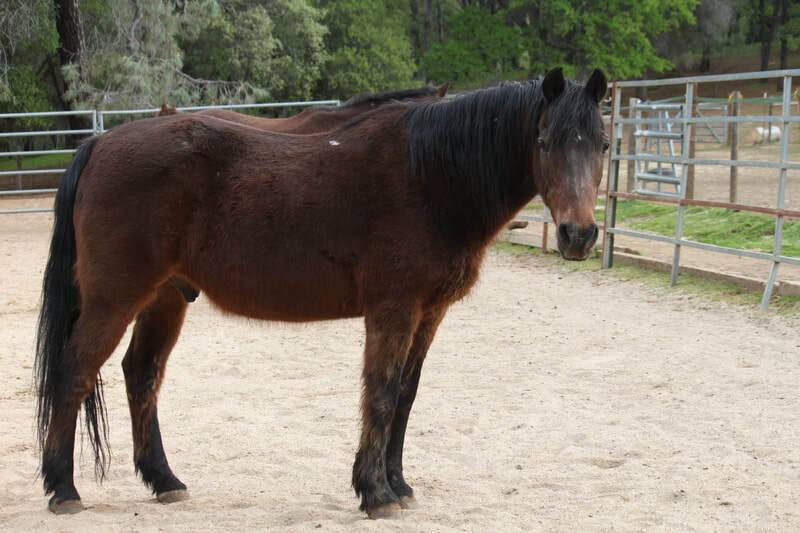 According to prior owners, Rustic experienced a nail injury to his right hind hoof as a two year old. A nail penetrated his navicular bursa, and he had an extended recovery period. As a result, he could not be ridden. 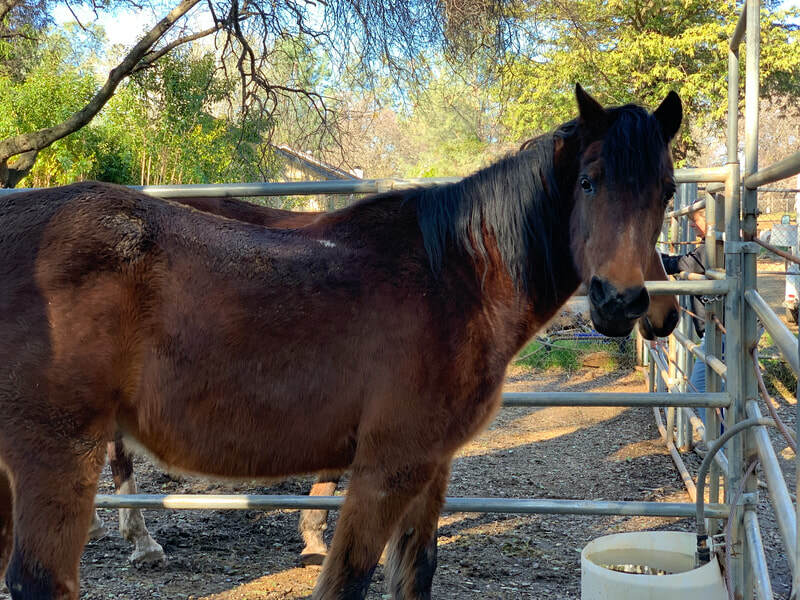 He was trained as a driving horse, but he hasn't been driven for at least a few years; however, prior owner indicates he has had no health or soundness issues. Rustic is tightly bonded to Always and has significant anxiety when separated. She is his girl and his confidence. He is nervous and when in the same space, he drives her around an area when nervous. They are housed in separate adjacent paddocks at AAE, but share some turnout together. 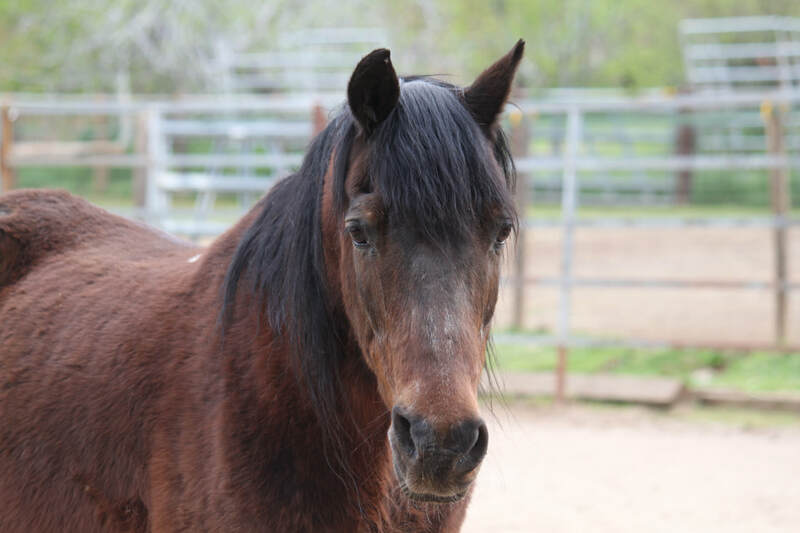 Rustic is sensitive, and when approached calmly, he settles and enjoys grooming and attention, and can be a nice guy, but needs an experienced and calm/low energy person. He is good with front hooves and with farrier on front hooves, but right hind was an issue with first trim. He kicked out with intensity; however, prior owner indicated he is fine once hoof is in hand. That wasn't the case that day. The opposite hind was fine. 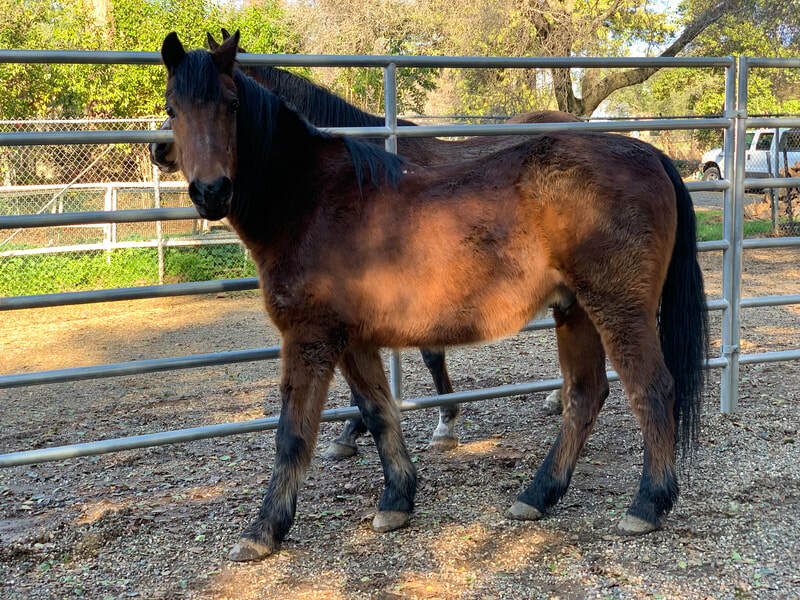 He loaded readily when picked up for transport to AAE; however, prior owner indicated he loads best when following another horse into trailer. Rustic was tested for Cushing's, and results showed he was at the high end of normal. He was started on 1/2 tab of Pergolide daily. He is also on an all pellet diet. 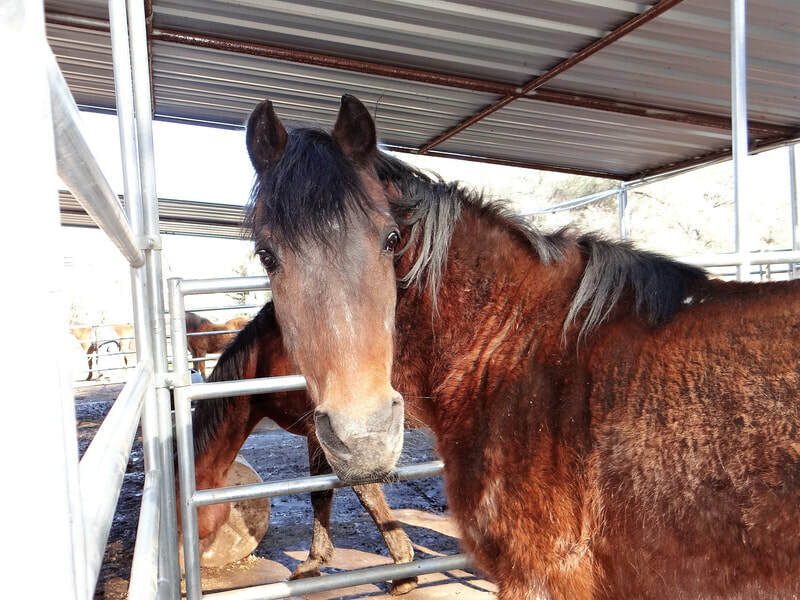 Rustic's dental care, hoof care, vaccines, and deworming have been updated, and he has a microchip in place. 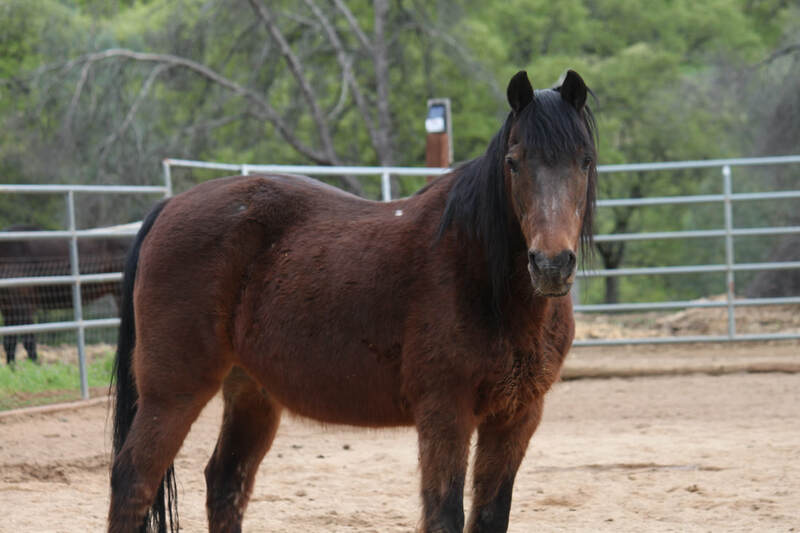 Reminder, Rustic is one of a bonded trio (Always, Rustic, and Scotty), and AAE is looking to rehome this group together. 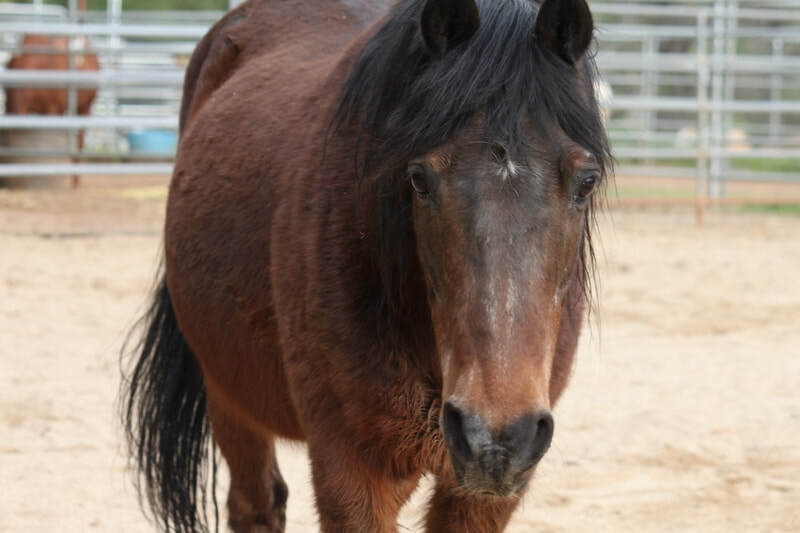 Rustic is a senior horse with a past hind end injury and was never trained under saddle. 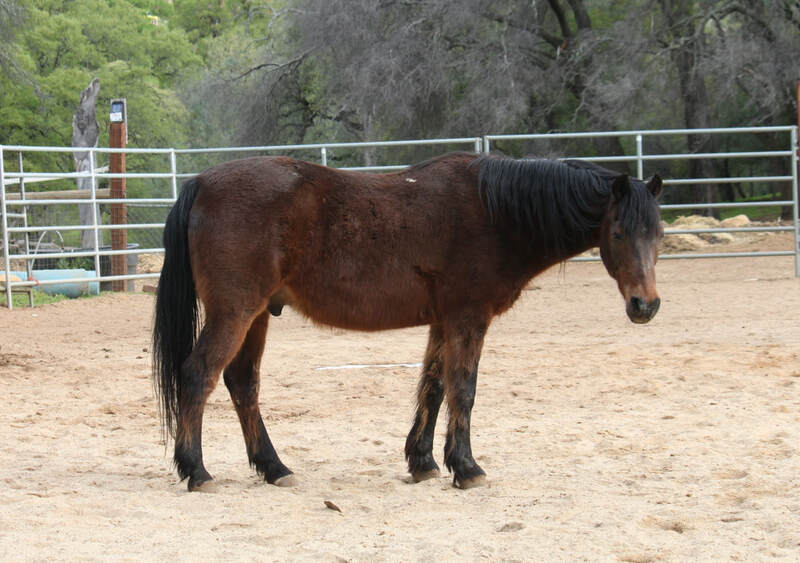 Do not consider adopting Rustic if you need a rideable horse.